When it comes to simple satisfaction, nothing quite beats pizza. But just because something is simple doesn't mean it is easy. With a pizza there's nowhere to hide, and if you want to get high praise selling tomato-topped bread, it had better be awesome. Thankfully Pizza Pilgrims is. I'd have to visit again to see whether it can push Franco Manca from my top spot, but it's pretty damn close. Chewy, charred, hugely flavoursome base topped with sparingly used, high quality ingredients including fresh, not overly reduced tomato sauce - the sign a traditional, searingly hot wood-fired oven is in use. 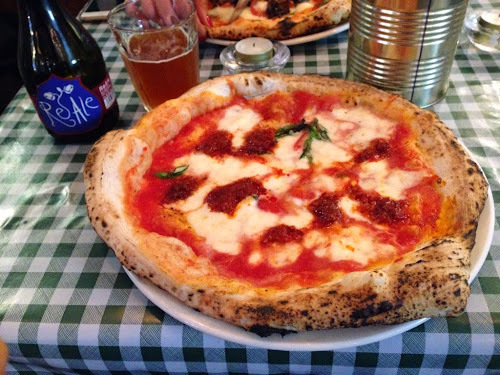 A chef friend of mine tweeted a photo of the carbonara special, which was also on offer and admittedly looked great, but I opted for the Nduja, which is essentially the tomato, mozzarella and fresh basil margarita, with the addition of soft and spicy Nduja sausage. Simple, glorious, and perfect with a beer. Which by the way was a rather good one. 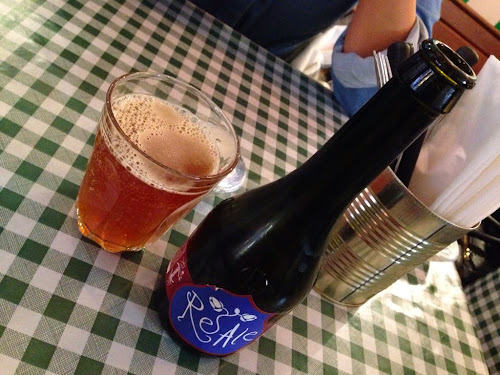 A number of micro-brewed London beers were on offer but I opted to stick Italian, with a bottle of Birra del Borgo's ReAle - which tastes a bit like a smoother, more Tripel-like American pale ale. Which is another way of saying it is very good indeed, and a perfectly bittersweet, citrusy and balanced accompaniment to the rich and spicy pizza. 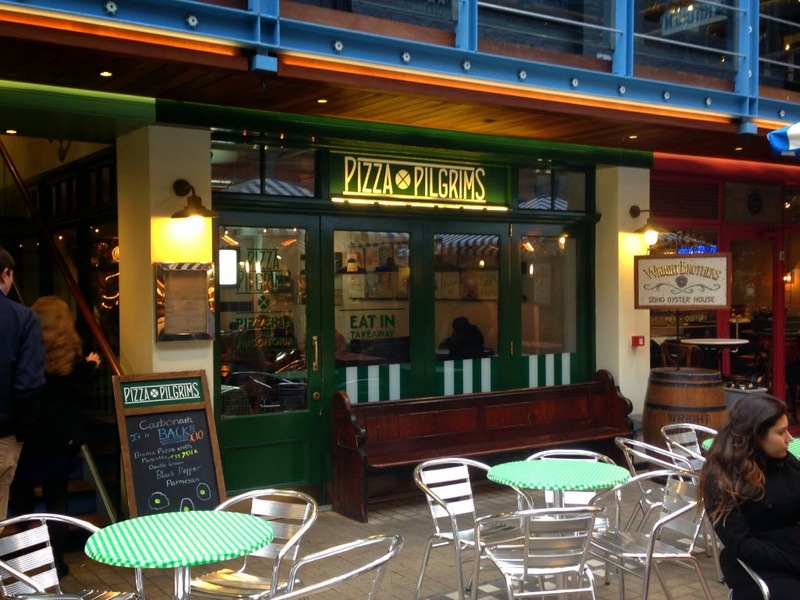 Pizza Pilgrims have got a few spots around London and are well worth seeking out.